The best selection of fitting equipment anywhere. Buy a selection of our products directly from our webshop. 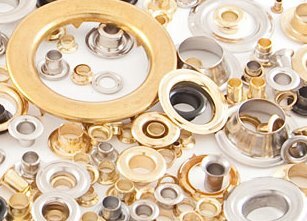 We pride ourselves on being able to produce eyelets and pressings to Customer’s own specifications as well as supplying “off the shelf” components. 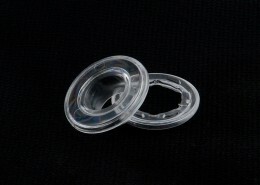 Because you are buying direct from the manufacturer we are able to keep the cost of our eyelets low without compromising quality. Our sales team will be able to advise on the most appropriate solution for you particular application, contact them here, or call us on 01706 656 789. From our standard ranges we should have an eyelet suitable for your application, please see our dimension tables below for more info. Our market leading eyelets are available in 25mm, 40mm, 50mm and 66mm hole sizes and over 10 different colours. 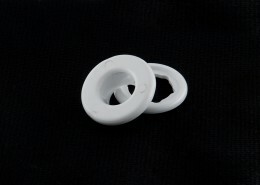 Plastic eyelets that work just like metal ones. 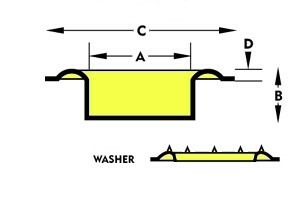 Hole sizes between 1/4″ and 1″ (6.35mm and 25.4mm) usually supplied with a turnover ring, some sizes available with a neck washer for fitting with a fully auto machine. 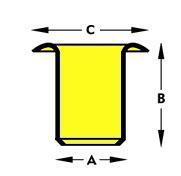 Longer versions are also available enable fixing in thicker materials. Ranging from 5mm to over 26mm hole sizes, these offer the maximum gripping strength of any eyelet. 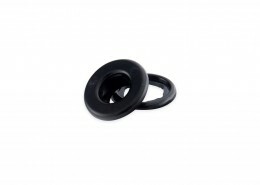 Our super tough grommets feature spur toothed washers that pierce through the material and interlock into the rolled rim of the grommet, these are exceptionally strong components used in demanding applications. Some of our grommets are available to purchase in our webshop, alternatively for larger orders and other finishes please contact us directly. 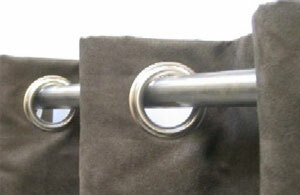 Sheet eyelets range from 4.5mm to 9.5mm hole size. 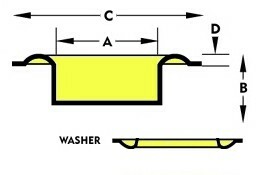 Can be used in conjunction with a coil, neck, spur or plain washer. Our popular range of eyelets used with our HP450 and small pneumatic machines. They feature an embossed face and come in standard bags of 500. Available in Brass, Nickel and Oxy Black finishes. 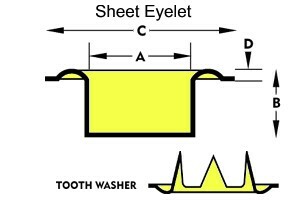 Typically used in the manufacture of banners. Plus many other uses too! For the print finishing industry. Unlike conventional drawn eyelets tube eyelets are made from precision tube which gives them a superior quality and are available in much greater lengths.